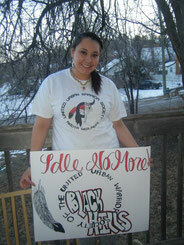 Leonard Peltier - unitedurbanwarriorsociety Webseite! An innocent man has been imprisoned for over 40 years. Big problem, right? The solution is simple. 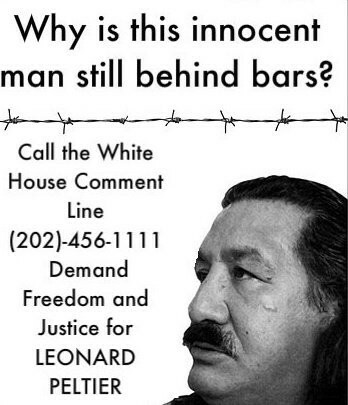 President Obama can grant clemency to Leonard Peltier. Obama leaves office! 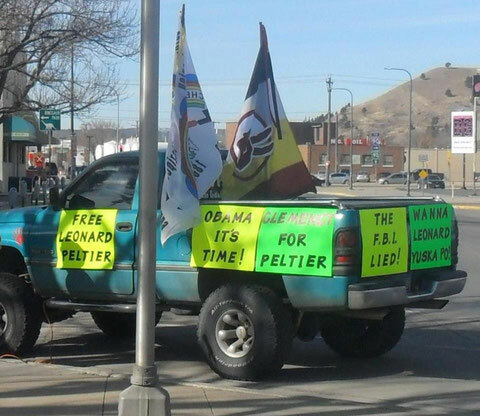 Make the commitment to contact Mr. Obama every single day and by any means possible to urge him to free Leonard Peltier. 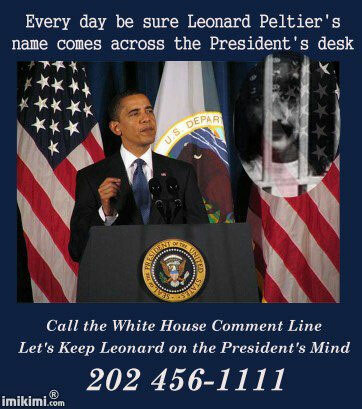 and/or write a letter: President Barack Obama, The White House, 1600 Pennsylvania Avenue NW, Washington, DC 20500. 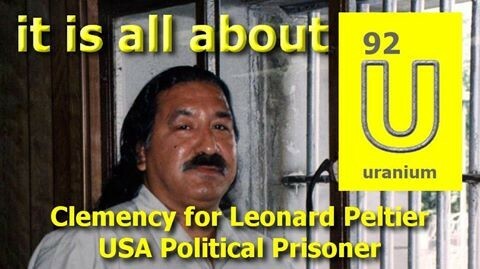 On Feb. 6, 2016, on the 40th anniversary of Native American political prisoner Leonard Peltier's arrest, a broad coalition of organizations will hold an important event in Los Angeles to demand the immediate release of Native American political prisoner, Leonard Peltier. 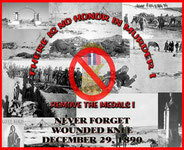 "Much of the government's behavior at the Pine Ridge Reservation and its prosecution of Leonard Peltier is to be condemned. The government withheld evidence. It intimidated witnesses. These facts are not disputed." WHO: A coalition of solidarity scholars, educators, community organizers and activists is organizing the event. 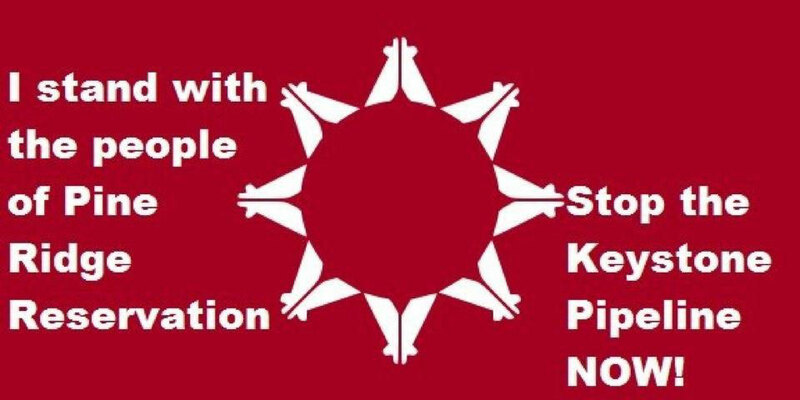 The list includes American Indian Movement Southern California (AIM), Interfaith Communities United for Justice and Peace (ICUJP), Act Now to Stop War & End Racism (ANSWER), International Action Center (IAC), Idle No More Los Angeles, and Native American Caucus SEIU local 721. KPFK Radio is a proud media sponsor. 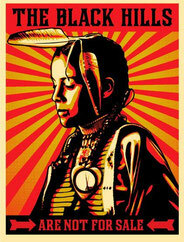 Julia Bogany is a Elder of the Tongva Nation/ Gabrielino Band of Mission Indians. Board President to the Gabrielino/Tongva Springs Foundation, educator, director and activist for over thirty years fighting for equal rights for all Native Americans. Julio Rodriguez The Conga Poet- Puerto Rican-Panamanian, Conga player,writer, poet and lyricist since 2010. WHAT: In solidarity with international actions to demand clemency and freedom for Leonard Peltier on this date, a full day is planned in Los Angeles, with speakers, musical performances, traditional Native singing and drumming, a children's corner, and food. Over 15 community-based organizations are planning to participate to bring awareness and education in how the incarceration of Peltier indirectly affects the issues that neighborhoods and communities are facing today. "Today, even behind bars, Peltier is recognized internationally as an advocate for human rights and the environment," says Corine Fairbanks, Director of the American Indian Movement Southern California. "Ironically, this is what he was standing up for when he was arrested." This is a family-oriented, free event; donations will be appreciated and happily accepted at the door. 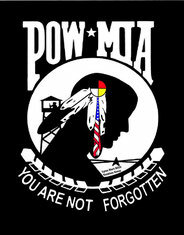 Tribal elders and spiritual leaders will be ending the day with a Candlelight Vigil and Prayer ceremony at 8:30pm. 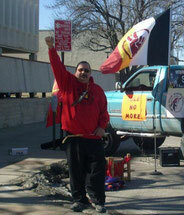 WHY: Peltier, declared by Amnesty International to be a political prisoner, has been incarcerated for 40 years. He is in bad health and has been denied proper medical treatment. 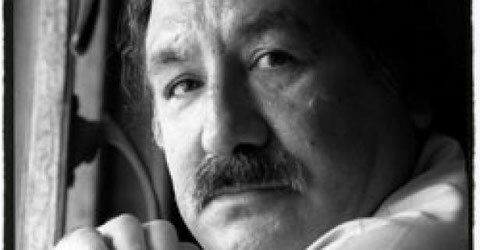 Education, awareness and signatures are needed to pressure President Obama to grant clemency to Peltier before the end of his presidency. "It is not just about ending an unjustness to one individual," stated Carolfrances Likins of the ICUJP. 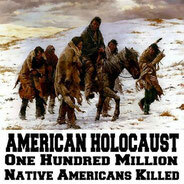 "Leonard was targeted by the FBI for defending his people and the land from energy companies. 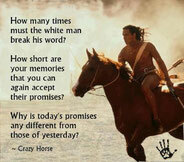 Our solidarity with Indigenous people, and the defense of the environment, needs to include his freedom." 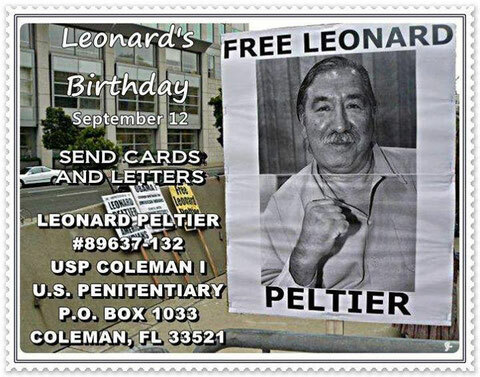 We are dedicated to the efforts to free Leonard Peltier. 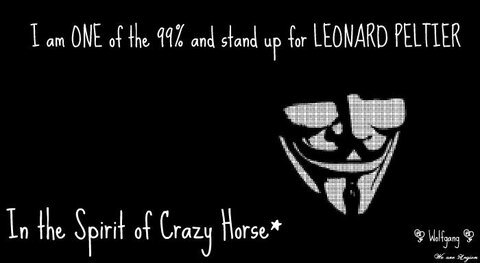 Our group is for those who are ...willing to work hard and get the word out for Leonard...Each person in this group will bring there own ideals and ways to the table. Each person in this group will be a leader and there are no persons, we have to answer too except Leonard....In Leonard's own words "Be the Army of one" Each member is their own army and with all our army's working together! 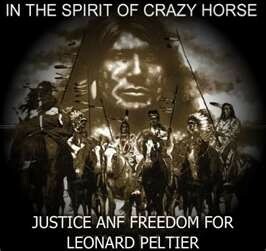 we will create awareness and hopefully gain his freedom.....This group is only for Leonard Peltier Issues, all others will be deleted. We will support all other groups and efforts for his release, but will not! 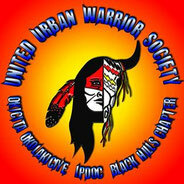 answer to any one person or "Other" group...Accept Leonard Peltier or His family members...We are a support group, supported by all Chapters of "United Urban Warrior Society"